October was a busy month for our Explosive Djs. With a full day wedding Dj package in The Clarion Hotel Co Sligo, with music before, during and after the meal, right up until the last dance of the night. We provided a wedding Dj after band package in The Slieve Russell Hotel, Co Cavan and another after band Dj in Lough Rynn Castle, Mohill, Co Leitrim. 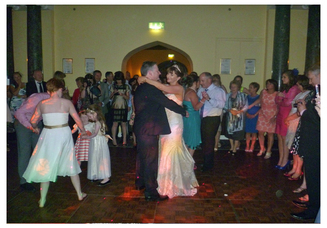 As well as our wedding packages we also helped a couple celebrate their wedding at their after wedding party the following day where we provided karaoke and disco for guests in Bloomfield House Hotel, Mullingar, Co Westmeath. Thanks to all the couples who booked our wedding Dj services for the month of October.